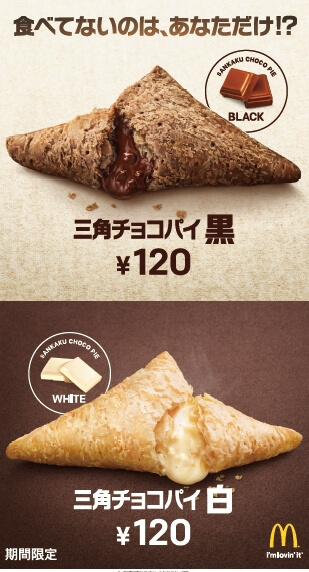 McDonald’s Japan will release its two new triangular-shaped black and white chocolate pies again this year on October 26. The pies are made by adding layers upon layers of pie dough to create crunchy three-sided pie. These are filled with gooey chocolate cream that elevates the pie to the next level. The black chocolate pies at McDonald’s boast unshaken popularity. This delicious treat is packed with a melty chocolate cream made with almonds. The level of sweetness is also on point. 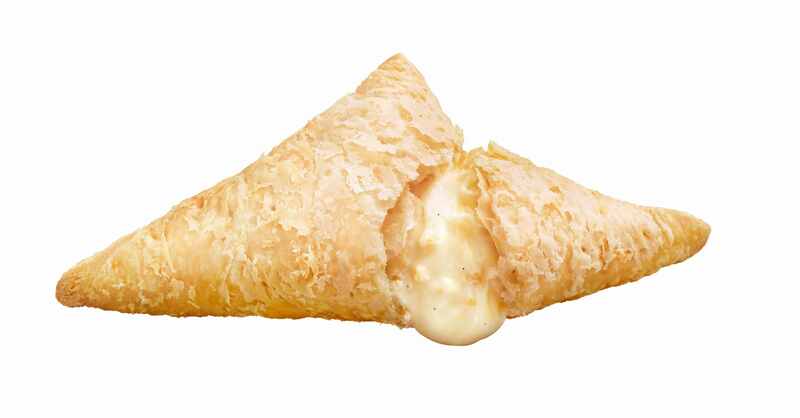 The white chocolate pies contains a rich white chocolate cream made with sweet-smelling vanilla beans and almonds. 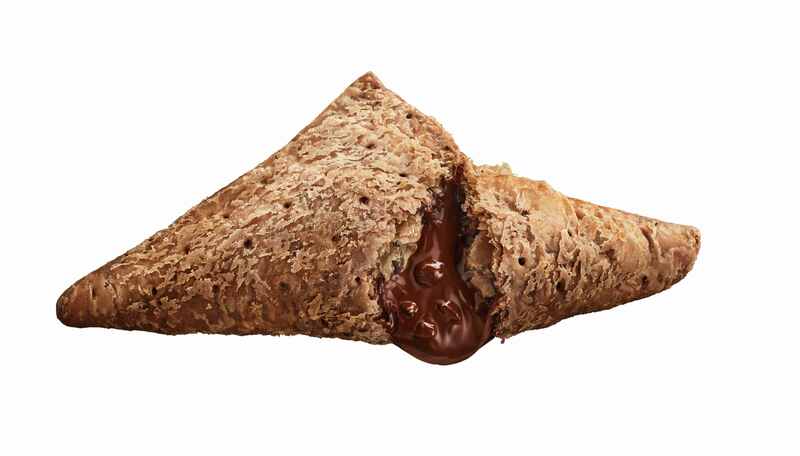 Ever since the triangular chocolate pies hit McDonald’s in Japan in February 2007 they have continued to be gain popularity for over 10 years. Every year people call out “the chocolate pie season is here!” and struggle with which to go for. This year, they will be served in cute limited edition packaging. If you put both the black and white packages together they will even create a heart shape. Other flavoured chocolate pies are set to be released this winter too, and there will be a commercial for them featuring Japanese actress Maika Yamamoto. Which crunchy chocolate pie will you be warming yourself up with this winter?